Not all plumbing problems involve a catastrophic situation, like a burst or damaged pipe. They can sometimes involve something as simple as a clogged or a blocked drain. However, this doesn’t mean that you can simply ignore this kind of problem and hope for the best. You’ll still need the expertise of a local plumber to help you fix your plumbing worries and there’s no one better to help you than Wide Plumbing. If you need more convincing, here are three reasons why local plumbers are the best solution to your blocked drains. 1. Fast and Reliable Service – Having a service provider within close proximity can greatly increase the response time in getting your drain unblocked. This can be especially useful if the drainage problem has escalated to a more severe case. 2. Better Prices – Instead of paying exorbitant prices for plumbing services outside your area, you can opt for the more competitive and accurate pricing that the local plumbers offer. Because they know the local rates, they can give you the most accurate price for the services that you need. 3. Familiarity with Locals – It goes without saying that local plumbers are more familiar with the particular needs of the locals. As such, they can identify certain nuances that are specific to plumbing problems your area, and they know exactly how to resolve them. 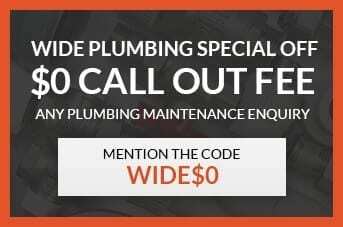 Wide Plumbing specializes in fixing blocked drains for homes and establishments located in the Central Coast area. Our satisfied customers rely on our fast, quality services to resolve all their plumbing problems without fail. If you’re having difficulty with a blocked drain, don’t hesitate to contact us through our number at (614) 392 7731 or via email at wideplumbing@info.com. Blockages in your plumbing can arise from a variety of reasons. However, the main root of all of these causes mainly stem from neglecting to clean out your drain regularly. A drain that hasn’t been cleaned in months can eventually lead to a blockage in your plumbing system. Small Foreign Objects. Small objects like jewelry, soap, or other detritus can cause a major blockage in your drain. Small children might be prone to flushing random objects down the drain and cause similar problems. It’s important to note that toilets and sinks are not suitable ways to dispose of waste and other small objects. Toiletries. Flushing toiletries like nappies and baby wipes should be avoided as much as possible. Paper napkins or toilet paper tend to get swollen when it absorbs water, causing them to clog drains when there’s a large build up that accumulates over time. Grease. Greasy and fatty substances like cooking oil or fatty foods can become quite problematic when they start building up in your plumbing. Due to their nature, grease and fat tend to stick to the insides of pipes and eventually cause a massive buildup that can block your drainage system. Food Waste. Instead of using a garbage disposal unit or segregating your residual trash, some people just throw their leftovers down the sink. Since the drain in your sink isn’t specifically designed to pass large residual waste like this, leftovers can cause a massive buildup in your pipes and cause it to become clogged. Hair. While working in the kitchen, it’s easy to miss the fact that fallen hair can gradually build up in your drainage system. This is why employees working in the food industry are required to wear hairnets to avoid hair from getting into unwanted places while working in the kitchen. Large clumps of accumulated hair can eventually cause your drain to get clogged so it’s best to clean your pipes regularly to avoid this. This is why it’s important to clean your drain from time to time. And to ensure that this is done in a fast and efficient manner, it’s best to leave it to the experts like Wide Plumbing Services. As a local service provider, we know how to unblock those clogged drains in the best way possible. Wide Plumbing Services has been a trusted name in the plumbing industry for many years now. Satisfied customers all across the Central Coast can attest to the high level of service that we have consistently delivered. Our team of professional plumbers has the skill and expertise to solve any plumbing problem in a fast and efficient manner. If you have a problem with a blocked drain or have any other plumbing needs, then feel free to give us a call for a free estimate. Our service area covers the entire Central Coast region. You can get in touch with us through our number at 0419 012 750 or at centralwideservices@gmail.com. Wide Plumbing Services covers all areas in the Central Coast, from Avoca Beach to Horsfield Bay, from Kangy Angy to Wyongah. No matter where you are in Central Coast, we will get there to restore your plumbing to its proper working order!